All our products are beautiful, durable, rechargeable and come with a lifetime warranty. They are also all designed and produced by us – we’ve pioneered many of today’s prop designs, from carbon fiber staffs to usb-rechargeable LED props. 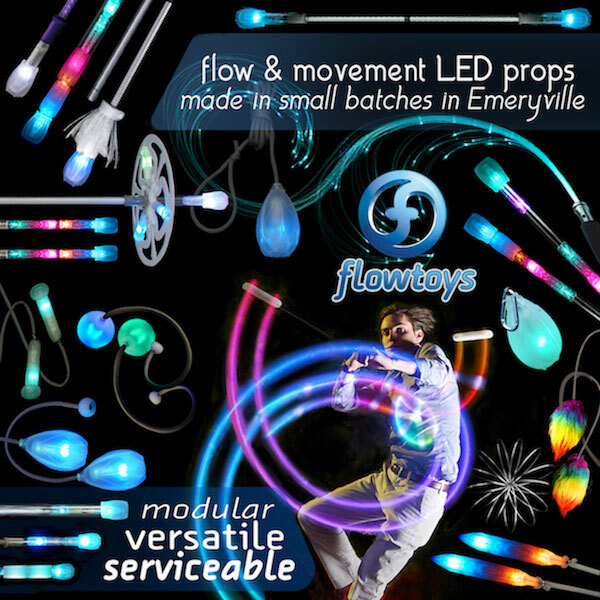 We created the levitation dance wand and many more fun flowtoys! We look forward to sharing our light system with amazing wireless control and synching abilities, enabling many interactive features!